A collateral charge mortgage is a different way to secure a mortgage or loan against your property. Collateral charge mortgages allow lenders to change interest rates and/or lend more without you incurring further legal fees. However other lenders won’t accept transfers from you with collateral charges; borrowers must refinance which means incurring legal costs that would not otherwise be associated with switching lenders when you have a standard mortgage. Who should get a collateral charge mortgage? When you know you might want to access more of your home equity in the first few years of your mortgage for things like debt consolidation or renovations. 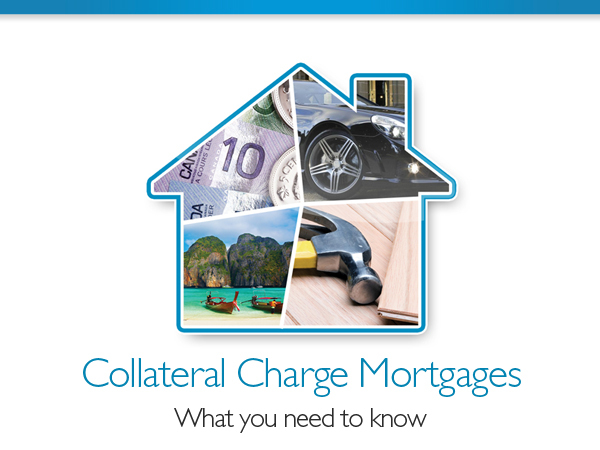 A collateral charge mortgage will allow you to do so without incurring more legal fees. Who issues collateral charge mortgages?